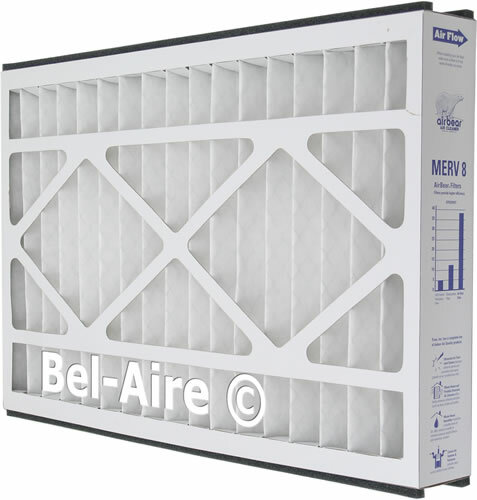 Genuine 255649-101 Trion Air Bear media filter. Used in the Air Bear Trim air cleaner 435790-028. Measured size 24¼ x 16 x 3 inches. 255649-101 is Rated Merv 8 at 1200 cfm. Foam strips on the top and bottom sides. The 255649-101 Air Bear uses 100% electro-statically charged synthetic fibers, along with radial pleating, to provide minimum resistance and higher dirt holding capacity to maximize filter life. The 255649-101 Air Bear conquers airborne particles for a cleaner, healthier home. The Trion Air Bear TM brings all the benefits of media air cleaning to situations where space is a limited. 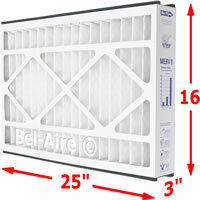 Its three-inch thick filter provides an excellent option for closets, condos, townhouses and other limited-space applications.